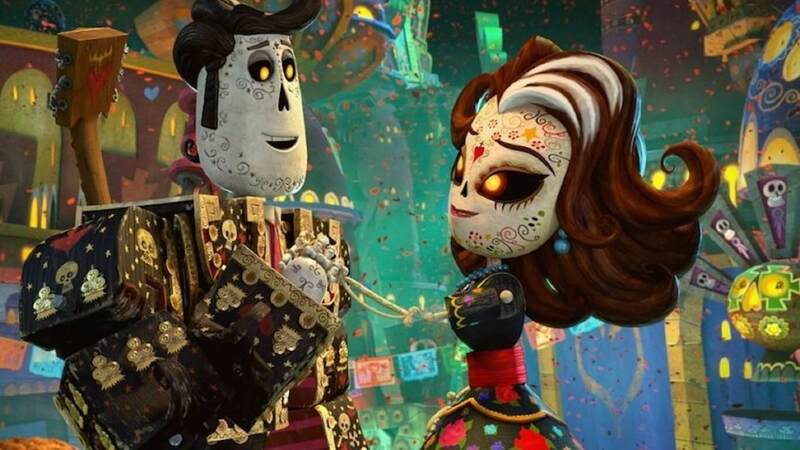 Ever since Pixar announced Coco, a movie inspired by the Mexican Day of the Dead celebration, comparisons to Reel FX’s 2014 film The Book of Life seemed inevitable. The main plot of both movies takes place on Dia de Muertos, both star a young man who wants to be a musician despite his family’s wishes, and both involve a trip to the afterlife. Personally, the only point at which I felt like Disney/Pixar were doing anything wrong was when they tried to copyright the phrase “Day of the Dead.” I guess it’s silly to be surprised by a huge corporation like Disney pulling a stunt like that, but it was despicable and unbelievably stupid. Seriously, how did any of them think that was going to go well? Regardless, since today is the last day of the holiday, I’m going to take a look at both films and see just how similar they are. The Book of Life opens with a museum tour guide teaching a group of American children about Dia de Muertos and what’s really behind it. She tells them a story that becomes the film’s main plot: three children named Manolo, Maria and Joaquin reside in the city of San Angel, playing and making mischief. On Dia de Muertos, gods La Muerte and Xibalba make a bet that will change the course of history and the lives of three kids. Maria is sent away to a convent by her father in the hopes of her becoming a proper lady. Years pass and Manolo has become a reluctant (and not very good) matador. He can move well and keep up with the bull, but he doesn’t think it’s right to kill it, and he wants to be a musician. Meanwhile, Joaquin has become a town hero like his father before him. Both men vie for the affection of the returning Maria, much to her chagrin. Things spiral out of control when Manolo, feeling rejected by his family and believing Maria to be dead, agrees to let Xibalba kill him under the pretense that Maria is in the afterlife waiting for him. The film is about choosing your own destiny, the true power of love (romantic, familial and platonic) and honoring lost loved ones. Coco begins with a prologue about protagonist Miguel’s great great grandmother Imelda and how, after her husband left to be a musician, she had to work hard to support the family. The Riveras all became shoemakers to survive, and music, as well as any reminder of Imelda’s husband, was banished from the home. In the present day, this causes problems for Miguel, who has musical talent and wants to pursue a career in the art. He tries to practice in secret at first, but naturally, his family soon discovers his “stash” of a guitar, music, and memorabilia of music and film star Ernesto de la Cruz. When his grandmother smashes his guitar, Miguel tries to steal the one that belonged to de la Cruz and inadvertently ends up taking a trip to the land of the dead. There Miguel meets his dearly departed family, including Imelda, as well as his idol de la Cruz. While you could probably draw a few conclusions from the film, the overarching theme is certainly that family is most important. Overall, aside from the aforementioned similarities about using the holiday as a backdrop and the hero wanting to become a musician, there really aren’t a lot of similarities here. Manolo’s family doesn’t want him to pursue his passion, but it’s not because of any ban on music, as is the case with poor Miguel. Manolo comes from a long line of famous matadors who always finished a fight, even if it meant dying trying. Naturally, he doesn’t want to follow this path because, being more of a sensitive soul, he empathizes with the bulls and doesn’t want to kill them. This infuriates his father, who feels like he’s abandoning tradition and the family honor in favor of what he sees as a silly profession for silly people. Miguel’s family has a very specific reason for trying to keep him from music, and while it sounds goofy on paper, it works very well in the film and creates interesting conflict. Unlike Manolo and his family in The Book of Life, Miguel isn’t 100% right, and his family isn’t entirely wrong. Of course, they eventually let him follow his passion, but he learns that family comes first and that you need support even while pursuing your dreams. Personally, I find this approach more interesting; it’s too easy to make parents and authority figures into strawman antagonists in these kinds of movies, and so much more interesting when everyone has a point, and the truth lies somewhere in the middle. The land of the dead is also shown very differently in the two movies. In The Book of Life, there are two separate places, one for the remembered and one for the forgotten. 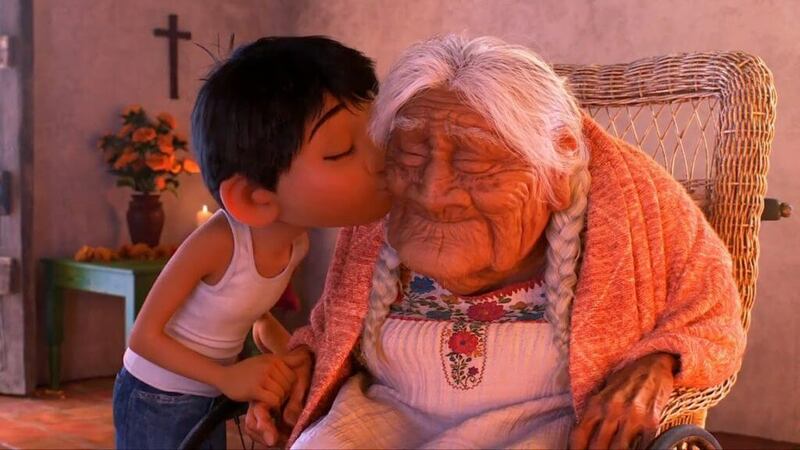 However, in Coco, the ones who have truly been forgotten by their families cease to exist. There’s a scene in Coco that demonstrates how disturbing and tragic this is, and serves as a vital step in Miguel’s character development. I don’t think either concept is necessarily preferable, but Coco’s execution is ultimately more effective. Both designs of the land of the dead are absolutely gorgeous, and I think they’re distinct enough not to be confused. The films have a very different look in general, with The Book of Life modeling its characters on marionette puppets, while Coco has a more traditional Pixar style. These films are bursting with color and life, and I really like the look of both. I will say that I don’t like the designs of some of The Book of Life’s side characters, such as the Mariachi Brothers and the villainous Chakal. However the three heroes look great, and the gods are extremely well designed and eye-catching. I like Manolo a lot, and Joaquin is an interesting character who could have been turned into a caricature to make Manolo look better, so I’m really impressed with him, and their rivalry overall. However, the weak link here is Maria. She’s a paper-thin character who just says feminist catchphrases and is put on a pedestal as being the best, least immature of the three. But personally, I found her annoying and self-righteous. There’s one scene where one of the town girls derogatorily remarks that Maria likes to read for fun, but unlike something like Beauty and the Beast, this is never mentioned again. Maria isn’t shown reading often, or even talking about books, and she doesn’t even seem that smart. Likewise, it doesn’t create any friction between her and the townspeople, or girls her age. Manolo and especially Joaquin end up being much more nuanced characters than I expected, but Maria suffers from the writers trying to make her perfect instead of interesting or relatable. Miguel in Coco is very much a regular kid, thinking in the short term and feeling frustrated with his family’s rules. His character arc is well done, and though Manolo is the lead in The Book of Life, the best character development in that film belongs to Joaquin. Coco and The Book of Life are good films, and I would recommend checking both out. Coco has a great soundtrack, and the way the songs are implemented is extremely clever, and more than once they left me in tears. The Book of Life has some original tracks mixed in with existing pop songs. I think jukebox musicals are lazy, so naturally, I’m not thrilled with the pre-existing music; most of them are songs that annoy me anyway. That being said, the original songs “I Love You Too Much” and “No Matter Where You Are” alone make it worth the watch. Both films have gorgeous animation, but they look very distinct from one another. Overall, I prefer Coco for having a more fleshed out cast of characters and a stronger emotional connection to the young protagonist. However, both movies are really good and I don’t think they’re very similar beneath the surface. Happy Day of the Dead!